2. 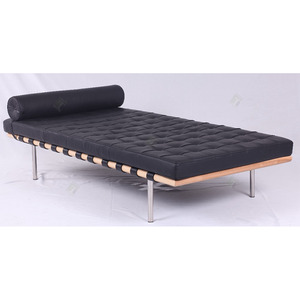 Wholesale classice Italy design living room leisure sofa bed barcelona daybed. If the quantity of single item can&rsquo;t reach the MOQ, the price should be sample price. Please let us know the quantity and codes of the items so that we can advise a production schedule. 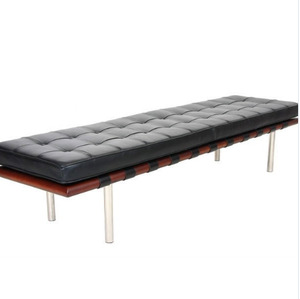 Our barcelona chair made with Solid polished stainless steel,thickness is 1cm,wide 3cm. 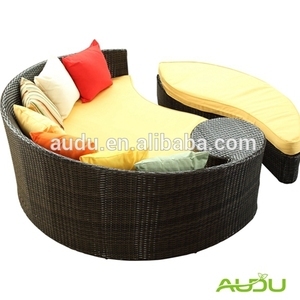 The cushions are made from high density sponge,sitting very comfortable on it. Popular color is Black,White,Brown,and other Different color is avaliable . 6 YRS Foshan Shunde Dengsheng Furniture Co., Ltd.
We always try our best to make the high quality products for our customer. You can chose the style first and let us know which color you'd like to order. You can chose the chair you like to match the base you like. We are a large-scale professional furniture manufacturer integrating R&D and manufacturing. 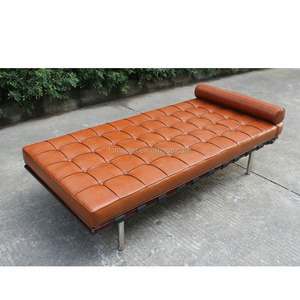 We are specialized in making antique furnitures and our leading products are our sofas,. In the coming years, we will continue to enlarge our oversea market share. 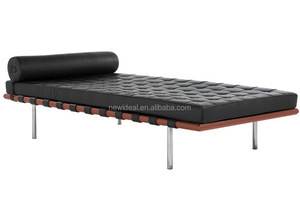 Alibaba.com offers 99 barcelona daybed products. About 39% of these are living room sofas, 20% are beds, and 16% are sun loungers. A wide variety of barcelona daybed options are available to you, such as genuine leather, synthetic leather, and rattan / wicker. 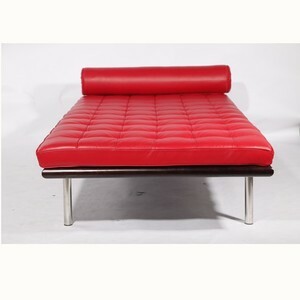 You can also choose from living room sofa, living room chair, and home bed. As well as from modern, antique. 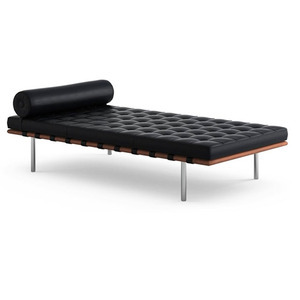 And whether barcelona daybed is sofa bed, leisure chair, or chesterfield sofa. 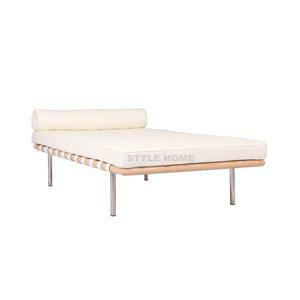 There are 99 barcelona daybed suppliers, mainly located in Asia. 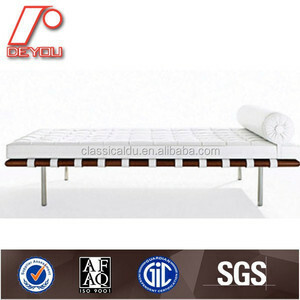 The top supplying country is China (Mainland), which supply 100% of barcelona daybed respectively. 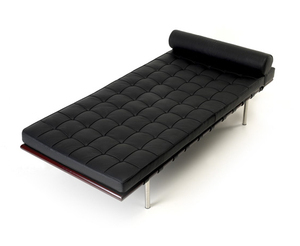 Barcelona daybed products are most popular in North America, Western Europe, and Northern Europe. You can ensure product safety by selecting from certified suppliers, including 14 with Other, 5 with ISO9001, and 4 with FSC certification.